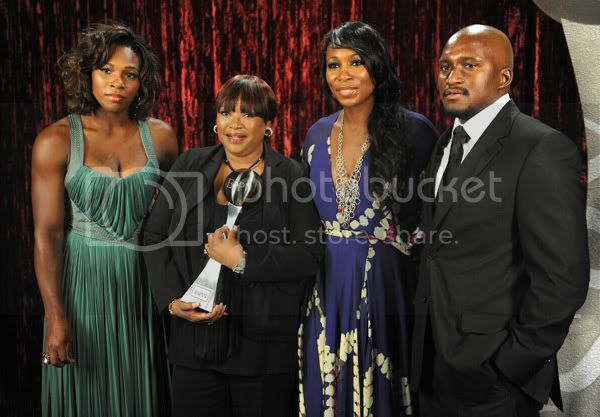 Tennis champions Serena and Venus Williams pose with Nelson Mandela's daughter Zindzi Mandela and grandson Zondwa Mandela as they accept the 2009 Arthur Ashe Courage Award on Nelson Mandela's behalf at the 17th Annual ESPY Awards, held July 15, 2009 in Los Angeles. The Rush Philanthropic Arts Foundation celebrated 10 years this past Saturday, July 18, 2009 with a garden party benefit at the private estate of Russell Simmons (left) in East Hampton, New York. Actress and singer Vanessa Williams (center) was among the honorees along with philanthropist Sheila C. Johnson and Target. Pictured on the right is Danny Simmons. Two subjects of the documentary Prom Night in Mississippi, Chasidy Buckley and Jessica Shivers, attend the HBO screening on July 16, 2009 in NYC. 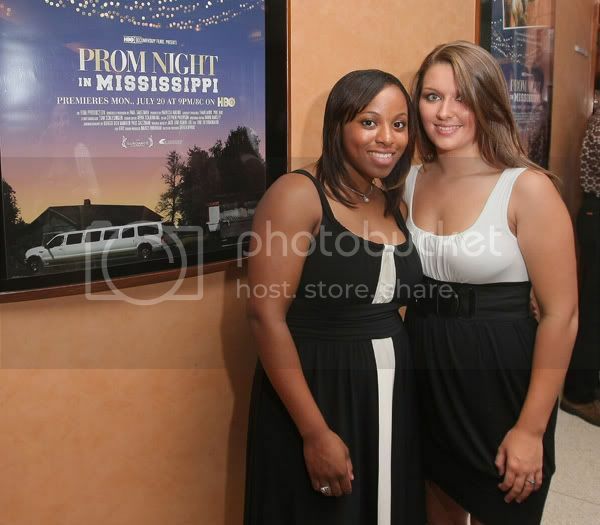 Visit the website at http://www.promnightinmississippi.com/ for a sneak preview. Here's a photo sent in by BlackGivesBack reader Nellie Bogar of Nellie's Youth Village, a non profit after school and summer program located in Walton Beach, Florida. Since 1999, they have served over 600 youth in the community. The theme for the organization's 10 year anniversary is “The Fitness Kids…Getting’ our bodies and minds in shape!” The entire year is dedicated to educating the children and their families on the advantages of daily exercise and proper nutrition. Nellie shares that their organization has been chosen as a community site to combat childhood obesity through the We Can! program, a national public education program from the National Institutes of Health (NIH) to help prevent overweight and obesity among youth ages 8-13. With the generous support of the local community, which included 3,000 square feet of donated program space by Pastor Larry Boldin and the Striving for Perfection Ministries in Ft. Walton Beach, Fl, the organization was able to provide 30 low-income youth with full scholarships to attend their summer camp. On August 15th, the youth will perform a free musical production entitled America's Next Top Fitness Kid. For more information, contact the Founder/Director Nellie Bogar at njbogar[at]yahoo.com or visit their website at www.nelliesyouthvillage.org. Singer/actress Beyonce poses with the Chicago Childrens Choir at the Show Your Helping Hand Campaign Press Conference at the United Center on July 17, 2009 in Chicago, Illinois.